Go to the Google Play Store and search for the keyword “Nextiva”. 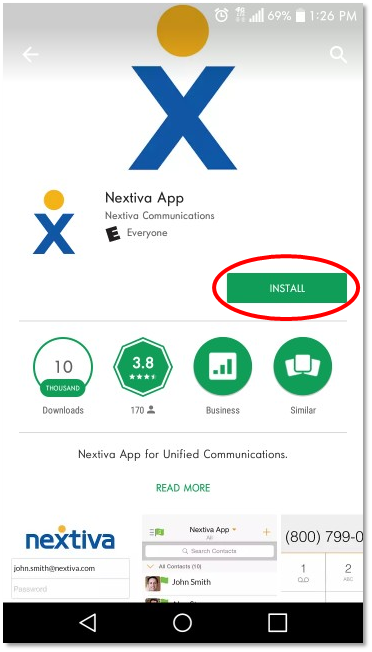 Select the Nextiva Communications Nextiva App application. Select the Install button (Figure 1-1). The Nextiva App End User License Agreement will populate. Read the contents carefully, and then select Accept in the lower right (Figure 1-2). 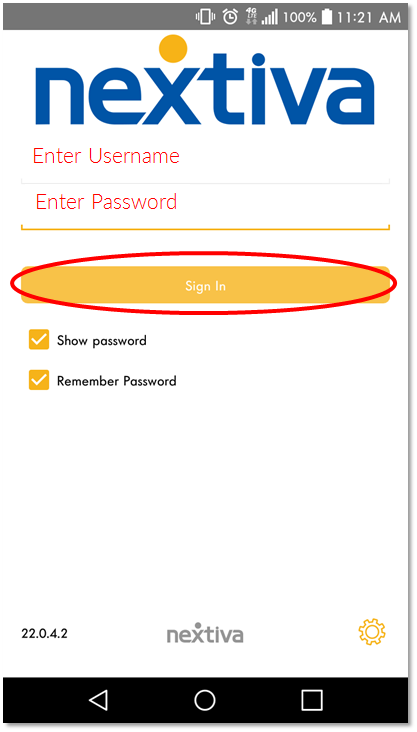 Enter your username and password in the corresponding fields, then select Sign In (Figure 1-3). The next screens will request permissions to access required functions for the Nextiva App to operate successfully. Select OK to accept each request (Figure 1-4). Congratulations! You have installed and logged in to the Nextiva App. You will now be able to initiate individual and group chats, view and share Team Presence, send and receive calls from your business line, and much more (Figure 1-5). 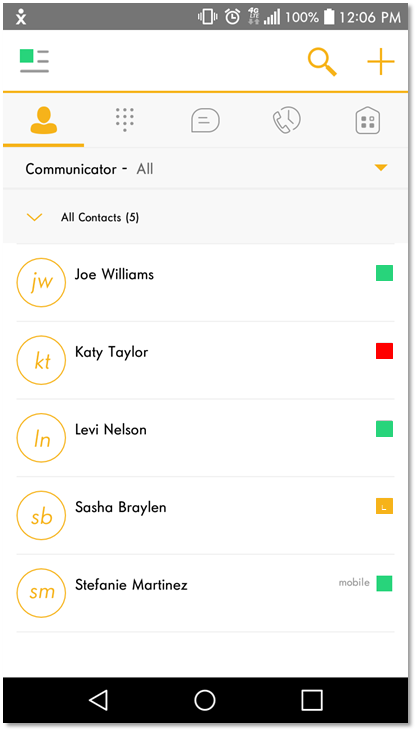 For more information on the Nextiva App call settings and preferences, click HERE.